Our made to measure service is ideal for creating the perfect bespoke soft furnishings for your home. Visit our studio in Paisley's Sir James Clark Building. Products & Services: Made to Measure Curtains Roman Blinds & Pelmets Contemporary Wallpapers Cushions and Re-Upholstery Work With our extensive experience our pricing options will suit all project sizes and budget. We are a Scottish shutters company based in Glasgow and we fit and supply simply stylish and bespoke wooden plantation shutters to our clients in Glasgow, Edinburgh and Central Scotland. Our shutters are custom made of hardwood, either American Poplar or Elm, they are then either painted to any colour desired or stained for different wood effects. They come with different sized louvres and frames that can be adapted to fit most windows from a modern Edinburgh townhouse to a traditional Glasgow tenement. At the company we started out with glitter pelmets, and due to customer demand we soon moved into designs in other fabrics, like crushed velvet, leather, faux silk, animal prints, character pelemts, and football team pelmets. We offer bespoke, made to measure, Roman, Roller, and Blackout blinds. A window blind can transform your interior, to help you with design ideas and inspiration, we’ve created ‘Make a Blind’ so you can select from the latest patterns, textures and colours to create beautiful, fresh and modern blinds for your windows. We have fabrics suitable for every room, from children’s bedrooms to home offices, for small windows to bay windows. You order our bespoke blinds online / Purchase blinds online or call us in the studio. We offer upholstered window pelmets , upholstered headboards, Roman Blinds and Footstools made to Measure in a variety of Fabrics including lots of tweed fabrics, or you can simply provide your own fabric Our upholstered headboards and Pelmets, as well as our Roman Blinds and footstools are Manufactured to the highest standard and quality for you to enjoy for years to come. We bring over 20 years of experience and knowledge to the table, so you don't need to worry, we will deliver the quality you are expecting. Hi and welcome to the home of the Decapanel a new and simple innovative window dressing system. Decapanels is an innovative window dressing system that requires no special skills or tools. Simply "Space and Place" and adjust to your required size. The Decapanel can be displayed in a traditional or contemporary setting and have a large number of colour combinations. Style Studio has a beautiful range of made to measure window blinds and curtains, which are available through retailers in the UK. 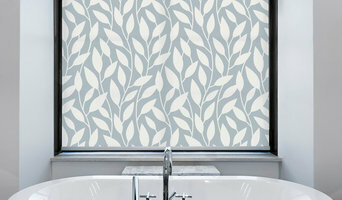 Top Cat Blinds are based in the West of Scotland. We pride ourselves are one of the industries premier window blind retailers with a showroom situated in Twechar near Glasgow. We have an extensive range of quality products with prices to suit everyone’s budget. From traditional to contemporary, our huge collection of blinds are available in an array of fabrics and styles complete with accessories and fittings to suit your requirements. As all our blinds can be customised to match your existing window precisely you are sure to find the perfect blinds for your home or office. Feel free to have a home consultation at a time and location to suit you, or alternatively make an appointment to visit our design studio where you can browse at your leisure at our vast collection of contemporary and traditional wallpapers and fabrics. The choice is yours. May it be a single blind or a full refurbishment our aim is to delight. Your design scheme is created for your individual taste and lifestyle, with your own designer on hand to advise you until project completion. Our in house curtain make up service includes upholstery of furniture, pelmets and headboards. 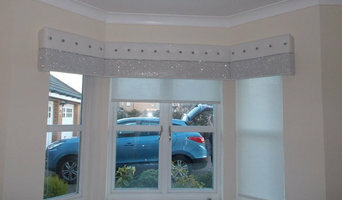 The finishing touch is our fabulous fitters who will dress your windows to complete your room. Parkhouse Interiors also offers a makeup service for other interior designers which can include consultation, measurement and fitting. Contact us for a free quote. Welcome to Casa Blinds where we bring you a wide choice of quality window blinds sourced from the top suppliers in Europe. Choose from hundreds of fabrics including plains and patterned in a huge choice of colours all with free measuring and fitting. You can choose from Vertical Blinds, Roller Blinds, Venetian Blinds and Wooden Venetian Blinds. Our range also includes skylight blinds suitable for Velux windows, Perfect Fit Blinds and Conservatory blinds. All our blinds are manufactured to your exact specifications and are fully guaranteed. Curtain makers, retailers and designers in Glasgow, Glasgow City can work wonders with pieces of fabric, while fitting blinds or shutters can be tricky to do yourself, so it’s definitely a wise idea to hire a window dressing professional in Glasgow, Glasgow City who can design, make and/or fit bespoke blinds, curtains or shutters for you. 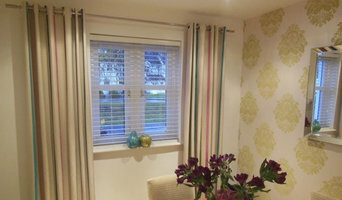 Whether you want sleek roller blinds for your home office, roman blinds for your kitchen, venetian blinds to smarten up your living room, plantation shutters for your bay windows or delicate voile curtains for the bedroom, there will be Glasgow, Glasgow City curtain makers, blind fitters or shutter company to help you with your ideas on Houzz. A curtains, blinds or shutters company in Glasgow, Glasgow City will first be able to advise you on the style of window dressing that will work with your windows and rooms. If you have an idea or design in mind for your window dressing, then discuss this with any potential experts, such as curtain makers in Glasgow, Glasgow City, to see if your design and style is possible. You will need to work closely with them if you are planning on having custom curtains, bespoke blinds or shutters created. Curtain makers will be able to turn most fabrics into curtains, so if you’ve found a pattern or fabric you like already, present this to your Glasgow, Glasgow City curtain makers and they could be able to turn it into curtains for you. Even when clients don’t have certain fabrics in mind, curtain makers can suggest fabrics based on your style and the rest of the room’s design. They can pick out the right weight, thickness, length and pattern that would suit your room. Curtain retailers in Glasgow, Glasgow City will offer a huge range of readymade curtains, or curtains that can be adjusted or made to order. Contact Glasgow, Glasgow City curtain retailers if you’d prefer to choose from a large selection of ready-to-go curtains; whether they are high-end designer curtains or just plain white curtains; rather than waiting for some bespoke designs from a curtain maker that may take a bit longer. You may find that curtain makers in Glasgow, Glasgow City also offer a stock of ready-to-go curtains, too, but always double check with the professional first. Once you’ve decided on a design, curtain makers, blind fitters and shutter professionals will usually measure your windows or doors to ensure a good fit. If you are having blinds or shutters made then it will probably be best to have them professionally installed, too. Blind fitters and shutter companies should offer this service with their products as blinds and shutters need to be firmly fixed to the windows; something that most homeowners don't know how to do themselves. Although roller blinds and Roman blinds can be fairly simple, vertical blinds and Venetian blinds can be a bit more complex, and if you want remote controlled blinds that operate with the touch of the button, then you definitely need to call in the Glasgow, Glasgow City blind fitters. 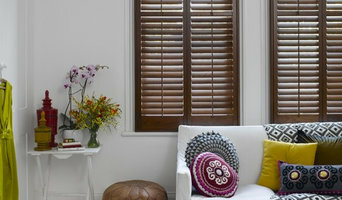 Plantation shutters are substantial window dressings and need careful measurements and installation, so it’s really best to leave the measuring, design, manufacture and installation to a professional Glasgow, Glasgow City shutter company. Blind fitters, shutter companies and curtain makers in Glasgow, Glasgow City should also check the insulation of your chosen window dressing and make sure there are no potential hazards once fitted. Finally, they should confirm with you that your curtains, blinds or shutters are functioning as you’d like them to before finishing the job. What should I ask Glasgow, Glasgow City curtain makers, blind fitters and shutter professionals? Find curtain makers, blind fitters and shutter professionals on Houzz. Narrow your search in the Professionals section of the website to Glasgow, Glasgow City blind, shutter or curtain maker professionals. You can also look through photos to find examples of Glasgow, Glasgow City window dressings that you like, then contact the curtain retailers, blind fitters, shutter professionals or curtain makers in Glasgow, Glasgow City who worked on them.